Formula One uses the best of technology from every field. Even the most mundane of acts become rocket science in this motorsport. 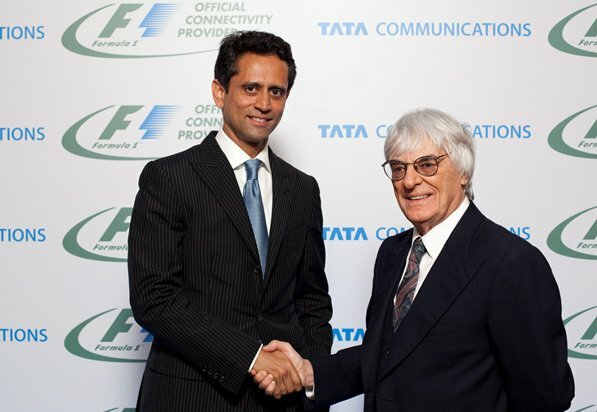 And now, Tata Communication is seeking to raise its profile globally by partnering with Formula One. The two brands closed the deal on Thursday. Tata Communication plans to use its undersea cable network and its IT, to transmit data and live video from the twenty Grand Prix locations around the globe. It is also to host the Formula1.com website in a multiyear deal, for which financial figures were not disclosed. Tata Communications is a part of Tata Group, and this deal is a chance for the company to enhance its image with the business customers. It is different from the sponsorship deal, where company’s pay for their brands name to be visible on the cars or driver’s suits & helmets. 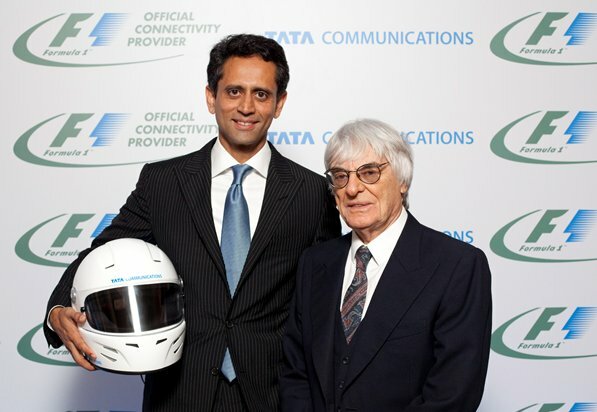 “Brand recognition is a challenge for someone like us,” Kumar said at a news conference in London, alongside Formula One chief Bernie Ecclestone. “There is no better brand for us to associate ourselves with,” said Kumar, adding that the company had looked at golf and tennis before settling on Formula One, which he said would be a demanding environment. “If we can do it for Formula One, we can do it for anyone else,” he said. However, the deal will come at a price for loss-making Tata Communications. “It’s a lot of money,” said Kumar when asked about financial details. Ecclestone, the man who built up Formula One into the series it is today, said the agreement was long overdue for a sport that prides itself on innovation.